My visit to the West End! One of the things I was most looking forward to while visiting England this past Christmas was the opportunity to curl up in front of the "telly" with a nice cup of tea. 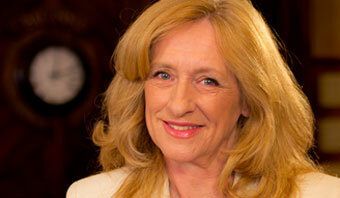 Sadly, while the tea was tip-top, the telly shows left a lot to be desired. I found myself missing programs such as Last of the Summer Wine, As Time Goes By and Keeping Up Appearances. In fact, the only show I really enjoyed was the Call the Midwife Christmas special which aired Christmas Day evening – just as it did on MPT! 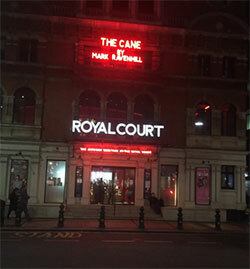 Something I very much enjoyed on my trip was seeing three actors I’ve watched in shows that have aired on MPT over the years, all performing together in a play in London called The Cane. 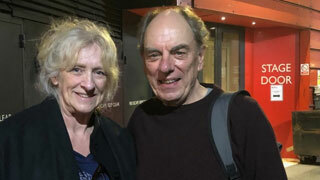 Playing the role of an about to retire schoolteacher was Alun Armstrong. You might know him better as Brian Lane in New Tricks. 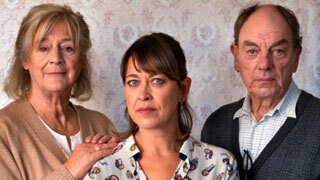 Playing his daughter was Nicola Walker, who you might remember from MI-5 and Last Tango in Halifax. His wife was played by Maggie Steed, who has appeared in numerous series that have aired on MPT, her biggest role being that of Margaret Crabbe, the wife of Detective Inspector Henry Crabbe, played by Richard Griffiths, in Pie in the Sky. Seeing the three of them up there on stage was such a treat. They were the only ones in the play, and it was a terrific drama. 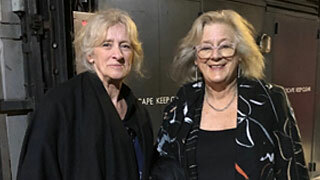 After the play finished, I caught up with Armstrong and Steed as they left the theatre. Both were extremely friendly. Armstrong’s character in the play is under siege for his liberal use of the cane on pupils over the years and the actor confessed to me that he was the recipient of several canings as a kid, owing to his bad behavior as a schoolboy! Unfortunately, I didn’t get a chance to chat with Ms. Walker, as she had a gaggle of friends waiting to see her and I didn’t want to interrupt their socializing. But Steed, who was accompanied by her small dog, greeted me with a warm hug and was effusive in her praise for public television. She urged me to encourage our viewers to continue to support the programs, so they’d be around a long, long, time.